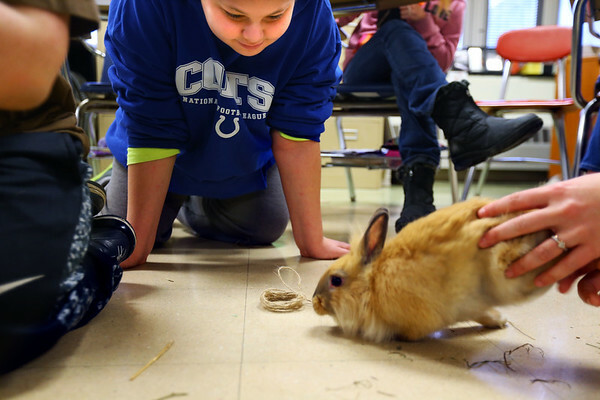 Lindsay Fischer from Crown Haven using rabbits to help students learn through hands on STEM on February 20, 2018. Joe Dunson watches Hidalgo's reaction to the ball of string toy. Then had to find ways to make him more interested.